Michigan’s windswept peninsulas are abundant with the energy to turn wheels—wheels that men and women have long used to live and progress. The windmill brings forth nourishment and manufacturing. 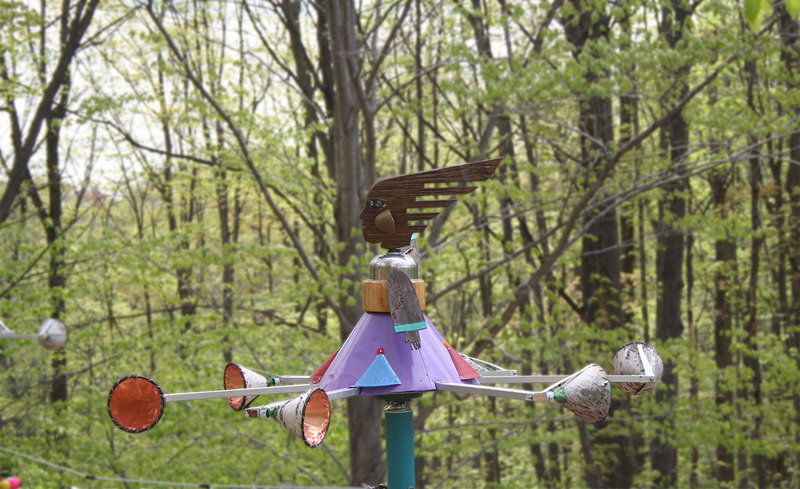 The weather vane provides knowledge for navigation. These are but two of the many images and concepts Dewey Blocksma playfully presents in his archway The Wheels of Progress. “The wheel is one of the most human of geometric forms,” says Blocksma. “We are creatures dependent on cycles and circles, creatures dependent on wrist watches, calendars, snow tires, hula hoops… merry-go-rounds, saw blades and windmills.” In his archway, Blocksma addresses cycles in our culture. 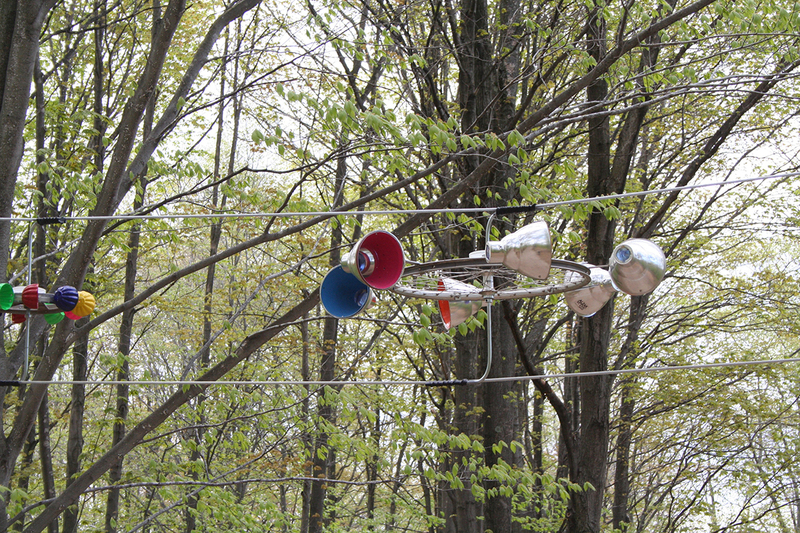 He uses two steel cables to bridge the twelve-foot gap between man and woman wind machines, each sitting atop twelve-foot poles. 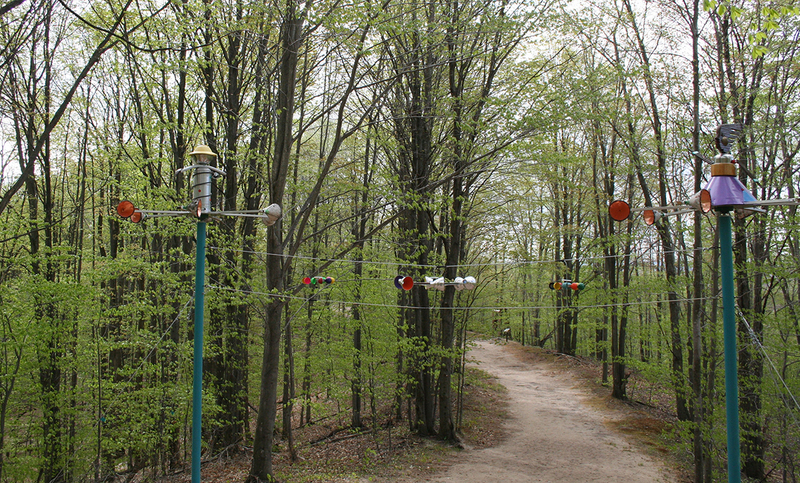 There are several whirligigs between the cables, all are positioned to favor prevailing westerly winds. The wheels use natural and synthetic materials “suggesting the tension between the natural and fabricated worlds.” Blocksma notes that several observers have suggested the man and woman seem to be calling to one another using wind-driven gestures and horns.